What is IMEI number? and Why IMEI SO IMPORTANT? 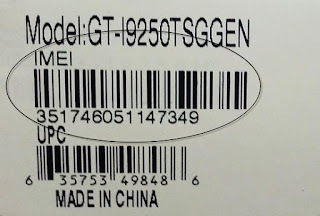 IMEI number (International Mobile Equipment Identity) is a 15 or 17 digit unique number to identify mobile devices, as well as some other devices. It is usually found printed on the phones back under the battery. It can also be displayed on the phones screen by entering *#06# on the phones keypad. WHY IS IMEI SO IMPORTANT ? IMEI number is important for the same reason as your car’s serial number. Mobile operator can track usage of your mobile phone very fast if it is used in the same network, but police can not track your car so fast. Mobile operator can see if your phone is used by some other user in their network, but if it is used in other operators network then your network operator can not see it. 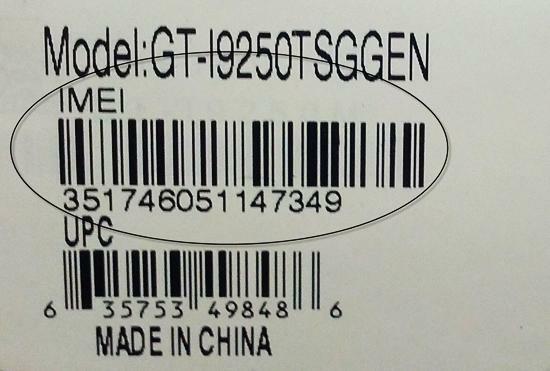 So why is IMEI number important and useful? If your phone is stolen or lost, you should report it to your operator and police by telling them your MANUFACTURER, MODEL, IMEI number, color, some special recognizable details (if any), place and date where it was stolen and some other circumstances that could help them to find or locate your mobile phone. Additional option is, to report stolen, lost or found mobile phone online. This is only additional thing you should do to tell everybody about your phone. This does not mean that reporting online is enough and that there is no need to report it to police and operator. Mobile operators can also use the IMEI number to identify valid subscribers and the type of equipment used in the network. Mobile operator can also disable mobile phone remotely if phone is reported as stolen or lost (and if reporter asked them to disable this phones IMEI). This mobile phone can still be used with other operators all over the world. If you ever find a mobile phone, mobile operator can also recognize owner of the phone by IMEI or SIM card inserted and return phone to his owner. Entertainment now at your Finger tips! Simply click on "Vlive" in your SIM menu & choose from wide range of Information across the City, Entertainment & lots MORE on your mobile. Click on the 'Hot & New' section and download the latest list of services on Your Mobile! Select various services and get the best and latest information at your Finger Tips! Charges – Rs. 3/outgoing SMS. Subscribe to select Services at Rs.7/week!